In our last blog, we debunked all those silly myths about your eyebrows. Now that you know none of those things were true, hopefully, it put you at ease. In this post, we are taking a different direction and are going to go over some interesting facts about your eyebrows that you may not have been aware of. The goal is to keep you knowledgeable about this facial feature and to always keeping them looking fierce. At Unique Threading Salon in the Garment District, our priority is to have you walking out of our salon feeling fabulous. We have services for hair removal, body art, and massage. Your eyebrows are hard to perfect alone, let our threading experts help you. They help us see the world. The biological purpose of the brows is a barrier for our eyes. The brows are responsible for keeping moisture and sweat out of the eye area, so they won’t become irritated or damaged. The shape of your brow isn’t just for show, it actually helps divert liquid, such as sweat, to the sides of the face instead of directly down into the eyes. While this isn’t your main focus of the day, your eyebrows contain a lot more hairs that you were aware of. There are over 200 hairs in each eyebrow. For people that don’t maintain this area of the face, they can become furry caterpillars above their eyes because the hair count is about 1,000. Well, no, they aren’t going to fall out when you turn 60, but they do have a lifespan and life cycle. Your eyebrows have a lifespan of about 4 months. This is based on how long it takes for each individual hair follicle to fall out and then grow back in. You will never notice this change as you have too many hairs on your eyebrows at any given time, except when you are getting them threaded of course. Best tool for facial recognition. Have you ever looked a photo that has been edited to make someone appear without eyebrows? Is it kind of ridiculous right? Well not only is it silly, it actually is a way we recognize others. Studies have been done where individuals were given photos of people without eyebrows, and they were hard to distinguish. Eyebrows are more important to our look than we think they are. Your eyebrows are a key source on how people know what is going on inside your head. Brows are able to express your emotions when you are aware and vice versa. When you are surprised or scared, your eyebrows will react without you knowing and they will be symmetrical when they do move. Eyebrows can also react to the sound of your own voice. The pitch may cause your eyebrows to rise. Knowing these facts should bring you to the conclusion that your eyebrows are very important. Take care of them with the best threading salon in the Garment District. Our team of professionals knows how to give you the best brows in NYC! Call us today and schedule your appointment! 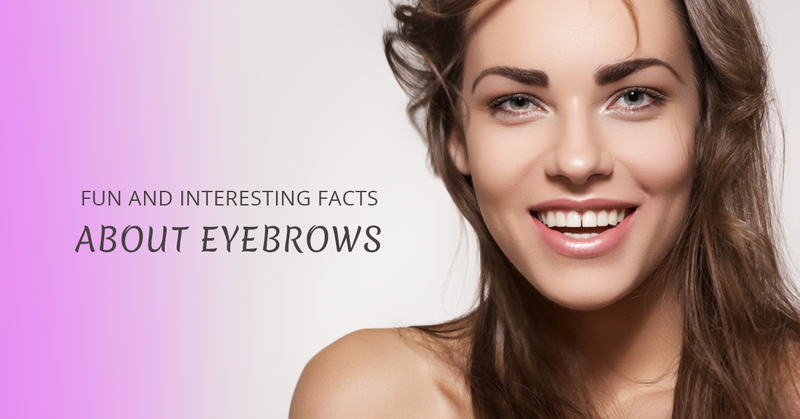 Check back for our next blog with more fun and interesting facts about your eyebrows.